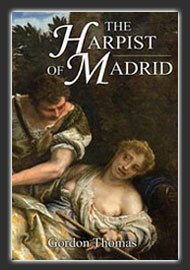 Bright and musically gifted, Juan Hidalgo grows up in the Madrid of the early sixteen-hundreds. Employed as a harpist in the court of King Philip IV, he is soon writing his own music and sharing in the life of the court. The King confounds his expectations by being a charming and helpful man, and a fellow musician. When Juan makes a happy marriage both his family life and career seem to be falling into place. It is Burgos in 1599. María commits a crime so serious she could be hung or burned at the stake. She is terrified of being caught so she and her friend, Lucía, flee for Madrid. A gypsy soothsayer tells them that María will be surprisingly capable, but not ashamed, of working in her new profession. What can it be? How can this woman know of María’s long lost brother? Will she find him? It is Spain in 1605. 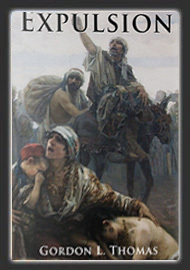 The tensions between the Moors and the Christians are running high. Antonio Hidalgo, a wandering musician, hears from a mistress of a plot to kidnap and ransom the king. The king is horrified. Will they kill him? 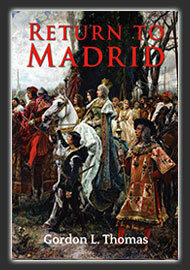 Return To Madrid, the new book by Gordon L. Thomas. It is 1685 and autumn in Madrid. Life there is bad for men but much worse for women. Recently widowed, Francisca needs a new purpose in life. With the odds heavily weighed against her, she decides to investigate the mysterious death, sixteen years before, of her bright and gifted son, while at university.